We’re about to head out on a 22 hour road trip. Whoop! Whoop! I’m always so excited for the trip to start. But after about 12 hours, I’m so excited for the trip to end. And here’s a question for ya: After 12 hours of sitting in a car, I swear I’ll never sit again. So why is it as soon as we reach our final destination, all I want to do is sit? 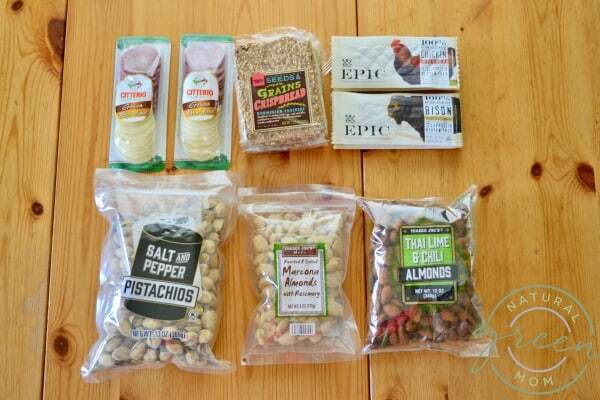 Eating healthy while on the road can present a challenge. 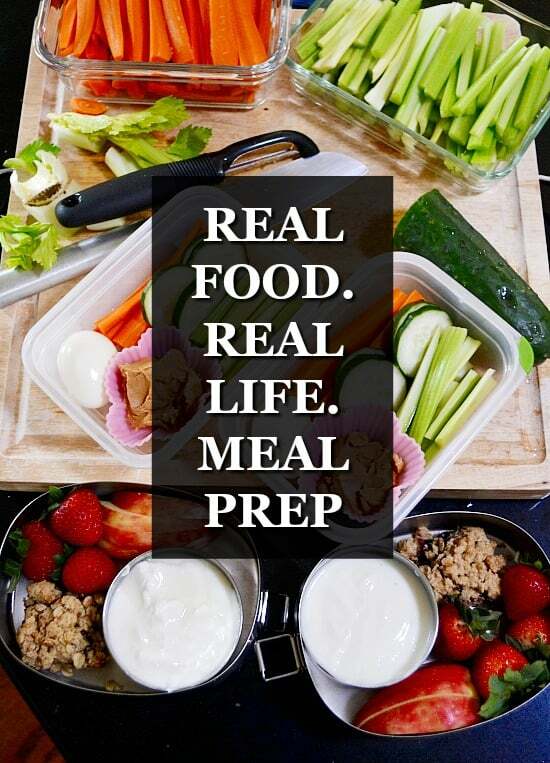 Most convenient road stops involve fast food or convenience store fare – neither one of which are great for when you are trying to eat healthy. Not to mention, have you seen the price of a single cheese stick in a convenience store?!? It’s outrageous! Which is why I’d suggest packing your own snacks. A little pre-planning will save both your budget and your booty. Healthy eating always starts with fresh produce, and so do healthy road trips. My personal preference is to pick fruits and veggies you don’t have to peel and that won’t squish in the cooler. That leaves bananas and clementines out. Instead, I suggest looking for produce options that will do well without refrigeration. 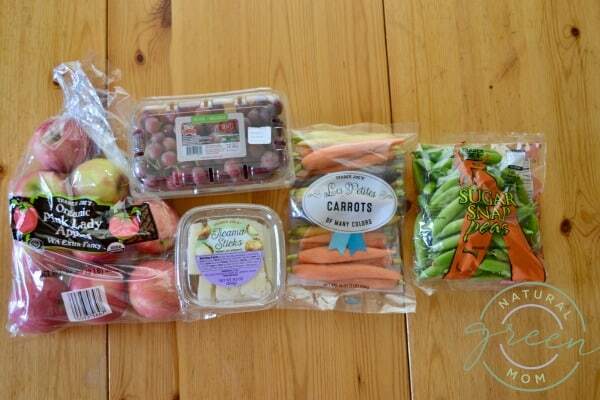 Apples, carrots, grapes, and snap peas can all go 2-3 days just in a cooler without spoilage. And no pesky peel to toss. One of my favorite produce options is jicama sticks. Love those guys! I purchase the single servings of guacamole and freeze them. Then, I toss the frozen guacamole cups into the cooler. The frozen guacamole helps to keep my cold items cold, but by the time I’m ready to eat them, they are defrosted. Jicama + Guacamole = super indulgent but absolutely delish road trip fare. Since protein is what helps to keep you full, you’ll want to make sure to include it on your trip. I love pistachios or sunflower seeds because you have to “work” to be able to eat them. Cracking shells helps keep me occupied on long stretches of road. My husband drives 90% of the time, so he likes to have nuts that have been shelled. For this trip I grabbed the Thai Lime and Chili Almonds and the Marcona Almonds with Rosemary from Trader Joe’s. If you haven’t tried either of these, don’t wait for a road trip! They are AMAZING! Cheese and meats are great if your trip is only one day. But if your trip will extend into a second day, consider buying some jerky for day 2. That way you don’t have to worry about finding refrigeration. For this trip, I packed up both. I made sure we had enough meat and cheese for one day, then the next we’ll have our jerky. Can we all agree that road trips are made better with munchies? 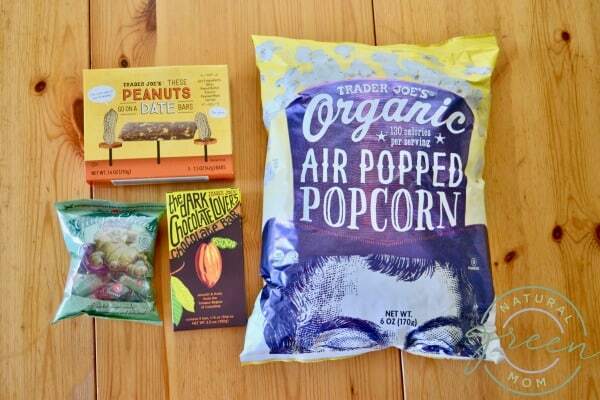 But skip the tub of red vines and opt for items like popcorn, granola bars, and dark chocolate. Make sure you grab both salty and sweet. Every long road trip needs variety. And don’t forget my personal favorite: Gin-Gin Chews. These chews not only hit your sweet spot, the ginger helps to alleviate a queasy travel tummy. Finally, don’t forget to bring both water bottles and coffee travel mugs. We tend to stop at a fast food restaurant to use the facilities then fill up with coffee or iced tea. 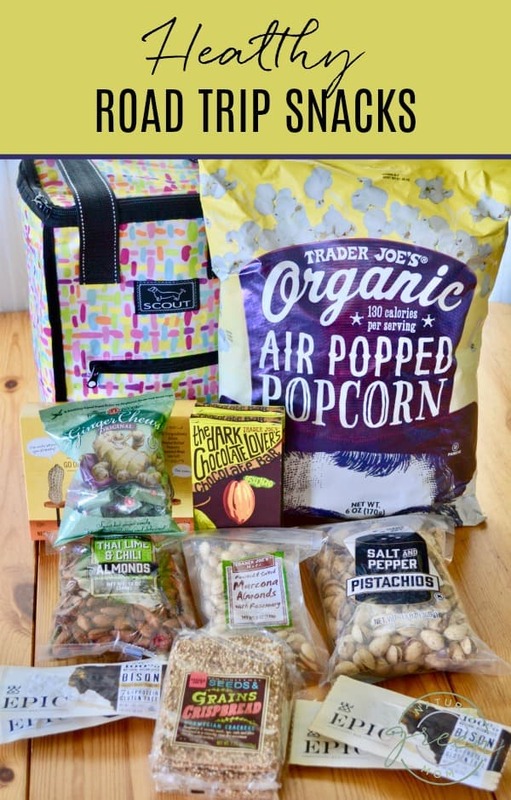 What are your favorite healthy road trip snacks?